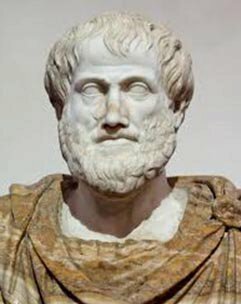 Aristotle, a great philosopher initiative the earliest mass communication model called “Aristotle’s Model of Communication”. He proposed model before 300 B.C who found the importance of audience role in communication chain in his communication model. This model is more focused on public speaking than interpersonal communication. Alexander gave brave speech to his soldiers in the war field to defeat Persian Empire. Aristotle wrote two thousand four hundred years ago but his clear and logical insights are still foundations for communications theory, as they are in theater (another form of communication ) as well. there has certainly been a lot of really insightful work done in the last thirty years -in fact, I was amazed when I revisited the field recently, how much insightful and useful theory and investigation HAS taken place in these last thirty years. how come my communication skills lecturer only mentioned three elements of the Aristotle model of communication i.e speaker-speech-audience? I want to know more about this model communication so that I can enhance my knowledge…. I understand the models so vividly. he gave a very important and fine explanation on communication. thanks to him. The model is explained in the simplest way that anyone can be in position to understand. I like it.